Samsung today introduced the most up-to-date additions to its SATA interface lineup – 860 PRO and 860 EVO solid state drives. The 860 PRO and 860 EVO SSDs are aimed at consumers who require fast, reliable performance across various applications, from everyday computing to heavy workloads and graphic-intensive operations. 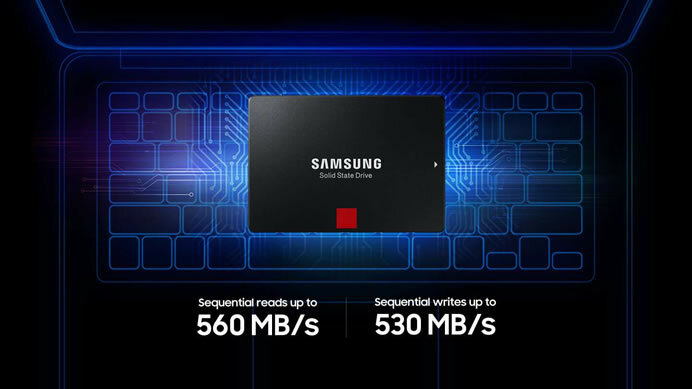 Building on the successful launch of the 850 PRO and 850 EVO – the industry’s first consumer SSDs with V-NAND technology – the 860 PRO and 860 EVO achieve industry-leading performance for SATA SSDs, offering enhancements in speed, reliability, compatibility and capacity. 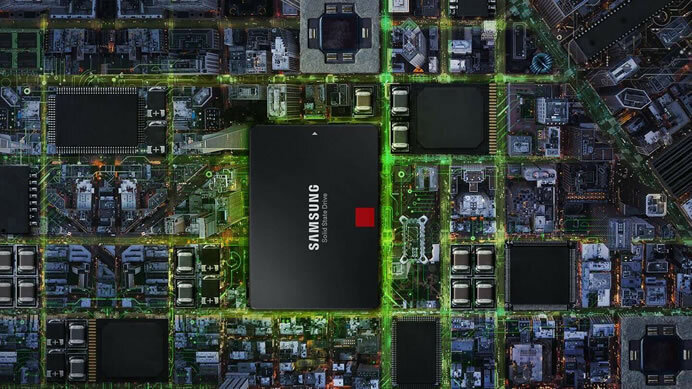 The Samsung’s 860 PRO and 860 EVO support up to 560 MB/s read and 530 MB/s write speeds and offer unmatched reliability with an upgraded five-year limited warranty, or up to 4,800 terabytes written (TBW) for the 860 PRO and up to 2,400 TBW for the 860 EVO. The new MJX controller is powerful enough to handle workstation storage, while improving Linux operating system compatibility. The Samsung 860 PRO is available in 256GB, 512GB, 1TB, 2TB and 4TB5 capacities, with the 4TB memory storage holding up to 114 hours and 30 minutes of 4K Ultra HD video. The 860 PRO is available in a widely compatible 2.5-inch form factor, which is ideal for PCs, laptops, workstations and NAS. The 860 EVO come in 250GB, 500GB, 1TB, 2TB and 4TB6 capacities, in a 2.5-inch for PCs and laptops, as well as mSATA and M.2 form factors for ultra-slim computing applications. The 860 EVO has up to six times longer sustained performance than its predecessor due to enhanced Intelligent TurboWrite technology, with read and write speeds of up to 550 MB/s and 520 MB/s8, respectively. The Samsung 860 PRO and 860 EVO SSDs are available from this month with manufacturer’s suggested retail prices starting at $139.99 and $94.99 USD, respectively.